Walking before her in the procession to the Abbey were knights, gentlemen, Councillors and the Bishop of Winchester. The Earl of Arundel, Mary’s Great Master of the Household, carried the ball and sceptre, the Marquis of Winchester carried the orb and the elderly Thomas Howard, 3rd Duke of Norfolk (who had just been released from the Tower) carried the crown. Mary was carried in her litter up to the coronation chair which was on a raised platform so everyone could see her. Following tradition Mary then prostrated herself before the alter on a velvet cushion while prayers were said over her. A sermon was then delivered by George Day, the Bishop of Chichester, who called upon the congregation to be obedient to their monarch. After this Mary knelt in front of the alter and pledged to always defend her subjects and administer justice in her lands before finally taking her oath. 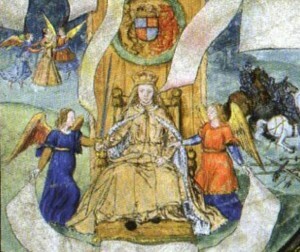 Historian Anna Whitelock explains how Mary feared the coronation oath would be tampered with to make her uphold the current faith in England, which at the time was Protestantism, so Mary added the term “just and licit laws” to indicate that she would only uphold those laws that she herself regarded as lawful. After taking the oath Mary once again prostrated herself before the alter while the Abbey choir sang “Veni Creator Spiritus”. In preparation for her anointing Mary changed into a purple velvet petticoat, she then laid in front of the alter and was anointed with holy oil on her shoulders, breast, forehead and temples by Gardiner. Dressed once again in the robes of state Mary was then handed the sword, sceptre and orbs and was crowned firstly with the crown of Edward the Confessor, then with the Imperial Crown which had been commissioned by Henry VIII and finally a crown which had been specially made for her. As a Catholic, Mary also wanted to be crowned according to the old customs rather than how her brother Edward VI had been crowned. Simon Renard commented to Philip of Spain that the bishops and priests were all in “full canonical dress” which was a move back to the Catholic way of dressing (during Edward’s reign the rich vestments of Catholic clergy had been attacked). Mary also refused to be anointed with the oils used in Edward’s coronation. She believed they had been tainted by being consecrated by Protestant ministers, who she saw as heretics, and by being used in a Protestant ceremony. Instead Mary wrote to the Bishop of Arras in Brussels and asked him to send her a new supply of uncontaminated holy oil which was then used in her coronation. 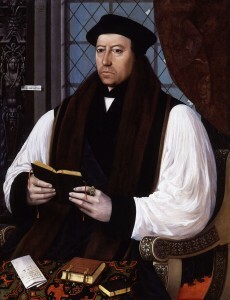 It was customary for the Archbishop of Canterbury to preside over coronations but the current Archbishop was Thomas Cramner who was not only a staunch supporter of the new reformed Protestant religion but was also imprisoned in the Tower for helping to put Lady Jane Grey on the throne. There was no way Mary was going to have her religious enemy preside over her coronation so she arranged for Gardiner to do it instead. 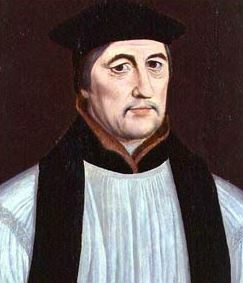 Interestingly Gardiner himself had been imprisoned on religious grounds during Edward VI’s reign as had the Bishop of Chichester who delivered the coronation sermon. Even during Mary’s coronation we have clues as to the kind of religious upheavals her reign would bring. Despite these murmurings of religious discord the coronation ceremony on the whole was a success. Despite being declared illegitimate by her father (although she was later added to the line of succession) and her brothers plans to bypass her in the line of succession with her cousin Lady Jane Grey, Mary’s ascension was supported by the majority of people in England so her coronation was a time of genuine celebration. 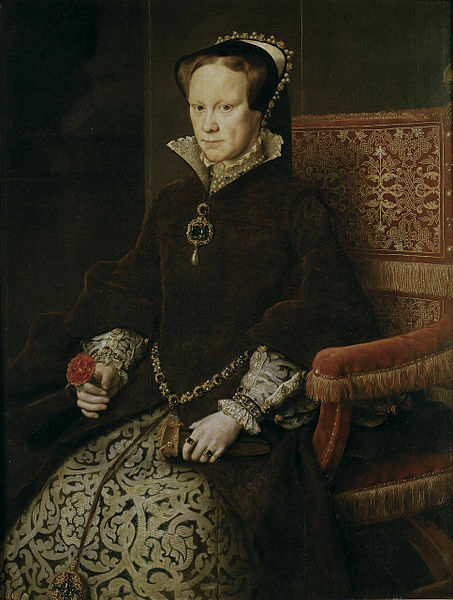 It was now up to the new Queen Mary I to prove whether she could indeed rule the country as an independent queen regnant and govern as well as the kings who had come before her. This entry was posted in Mary I, Tudor Events and tagged coronation, Mary I, Tudor Events by admin. Bookmark the permalink.